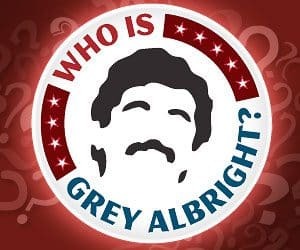 After 30 posts and some 300 prospects, we’ve reached the end of the minor league preview series for the year of our Lord Grey 2019. Our final preview is the Washington Nationals. This system isn’t all that strong, but it’s top heavy with two top 50 specs (one in the top ten) and a youngster who should rise quickly. The offseason prospect journey from the Astros to the Nats has been long and full of scotch. Good luck in your drafts and I’ll see you Wednesday for the beginning of our regular season prospect content. Kieboom is a plus-hit/plus-power shortstop who split time between High-A and Double-A in 2018. His numbers dipped in the more advanced league, but he still hit .260 with five homers. He’ll likely start this year at AA again with a chance to reach the majors next season – perhaps at a different position. 15-20 homers is a realistic power ceiling and he won’t sell out for it…meaning decent averages as well. Garcia has a lot of upside, but he’s pretty young. One of the best things about 2018 was how consistent he was with the jump from A-ball to High-A. He basically hit .298 with four homers and a 15% strikeout rate at each level. My guess is he’ll return to High-A this summer and reach Double-A by the end of the year, at which point he’ll still be just 19 years old. This one could be special. Denaburg was the Nats first round selection in 2018. He’s a righty with a plus fastball and curve. The heater sits in the low/mid 90s and he has decent enough control to remain a starter. I think the ceiling tops out at a 2/3 rather than an ace, but we haven’t seen him in pro ball yet either. Antuna has at least average pop and speed, but a below average hit tool and lost development time for Tommy John surgery makes him a risky prospect to own in shallower formats. He hit six homers and stole eight bags in the Sally in 2018, but that came with a .220 average a strikeout rate north of 21%. Nothing crazy, just needs to tune the approach and stay healthy to end up in more than a utility/bench role. I used to have a tier called Long Shot Lolitas for guys like De La Rosa. So far away, so young, so many unknowns. All the tools currently grade as average or better, and the Nats have hit on Soto and Robles, so there’s reason to be optimistic De La Rosa can follow a similar path. We should see him in pro ball for the first time this summer. Cate’s fastball is upper 80s / low 90s, so he’s going to have to finesse the hell out of his pitches to really make it as a starter, and even then it’s most likely in the back end of a rotation. It’s possible he makes it work though, because the curve is a double-plus pitch that could induce whiffs. Cate threw just 50 innings in 2018, but struck out 45 and walked under three per nine. Deep league dyno flyer. Crowe has four pitches in his arsenal, all of which are average or better. He’s likely a back end starter, but the fantasy upside is limited because he has less strikeout potential than Cate, even with a better fastball. Agustin is most likely a fourth outfielder in the bigs, but he has average tools and made some nice improvements to his approach last season. He increased his walk percentage about 3% and decreased his strikeout percentage about 5% in his second go at High-A. I don’t think the Nats will push him aggressively, but he could (should) be in Double-A this year. Romero had Tommy John Surgery in 2018, so we won’t see him again until 2020. He has a plus fastball and slider, which could play better in relief than as a starter. Lots of risk but with weaker systems like this there aren’t a ton of options for interesting flyers. I haven’t posted in these parts in a while but I’m back. I am in RCL 29 I think. My team is the Memphis Cement Mixers. Today I have a non-RCL league to fill. Please join. Yahoo, head-to-head, $40 entry fee, draft at 5 pm today. Love Robles this year. I’m in a 12 team AL only keeper league looking to win it this year. I’m targeting guys that are close to the bigs. Who would you take? Madrigal or Loaisiga? I’m not sold on Lasagna man this year, will he make enough of an impact? Thanks! I’d definitely take Madrigal over Loaisiga, but I don’t think Madrigal will help you much in 2019. What do you think of my minors? Merrill and Yoan Lopez were drafted for some quick pitching help during the year for cheap and Bauers i was able to keep in my minors as he did not hit the limits. Nice! You’re set up for this year and next. Hey Mike, quick question for you. Willie Calhoun and Jorge Mateo were dropped in my dynasty league, either worth an add? I own the top pick.. This is a 10 roto 6 x 6.. I would cut Strickland or Zimmerman. I own a bunch of top closers and Zim is a bench bat.. Thanks, is Willie worth the top pick or would you hold the pick in case someone better comes along? Hmm, hard to say without knowing your league. I’d hold for now. I didn’t include him, but after researching him more for this list I think I would include him in the back half with a do over. Yes, I could see him being a big riser. Especially with his age vs level. Thanks. Just nabbed him in my dynasty for Jeff McNeil… Fingers crossed!! 20 team dynasty where i need at least 9 TEX players this year (next year we probably move back to allowing the NA guys to count again for the mins) to be either DL or active at all times. the issue with grabbing other TEX players is i’ll get worse such as lynn/smyly/asdrubal or c.martin (RP). kelley was drafted by somebody else too. TEX jerked leclerc around on leverage for so long last year i dropped him when he wasn’t even touching the 8th inning for a period before they finally figured out that they maybe want to give leverage to their best RP in the last 2 years. asscab i couldn’t just grab either, he’d have to be traded for and my only similar option to do that would be giving away profar for him.